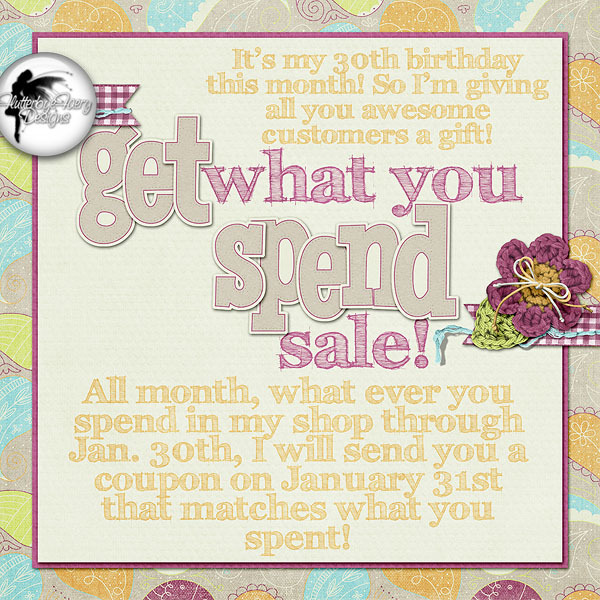 FlutterbyeFaery Designs: Get What You Spend Sale! Get What You Spend Sale! This year, I'm going to do better at blogging too! First up - This month since I'm turning 30, I'm giving you all a gift! A Get What You Spend Sale! All through Jan. 30th, what ever you spend in my shop, I will send you a matching coupon on January 31st!